Victor Manuel Zambrano was born August 6, 1975 in Los Teques, Venezuela. The six foot right hander began his career as an infielder before converting over to a pitcher. He was originally signed by the A.L. New York team in 1993. He was eventually released and signed with the Tampa Bay Devil Rays in 1996. In Tampa he pitched well enough to establish himself as the ace of their weak pitching staff. He had a good sinking fastball, to go along with a decent change up but suffered with control issues. He was good at holding runners on base and was a solid defensive player, due to the fact he was a former infielder. He debuted in June 2001 as a relief pitcher going 6-2 with two saves & a 3.16 ERA. He may have had the best control of his career at this point, striking out 58 batters while only walking 18. In 2002 he posted a 8-8 record & was beginning to get used in a starting role. In 2003 he won a career high 12 games, leading manager Lou Pinella's staff as the only picher to win in double figures. On the year he went 12-10 with a 4.21 ERA but had big control issues. He led the American league in walks (106), wild pitches (15) & hit batters (20). 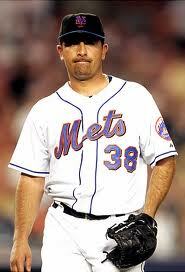 Zambrano pitched 188 innings & had 135 strike outs as well. In 2004 he was having a decent year going 9-7 although he was leading the AL in walks & had posted an ERA over four, when he was involved in a big trade that was terrible for the New York Mets. Overall in three and a half seasons in Tampa, he went 35-27 with an ERA well above four. On July 30, 2004 Zambrano was traded along with Bartolome Fortunato to the New York Mets for highly touted prospect Scott Kazmir. The deal became highly publicized as the Mets fans & the New York media were outraged about giving up the Mets top pitching prospect. Zambrano was never a proven ace & certainly wasn’t going to help the Mets get to the playoffs, despite what upper management thought. The deal still haunted the Mets for years; the Kazmir/ Zambrabo trade goes down with the likes of the Joe Foy, Jim Fregosi, Juan Samuel & Bobby Bonilla deals. Kazmir became the ace of the young Tampa Rays staff, and pitched in the 2008 World Series, while Zambrano pitched in New York for parts of three seasons & was finished by 2007. 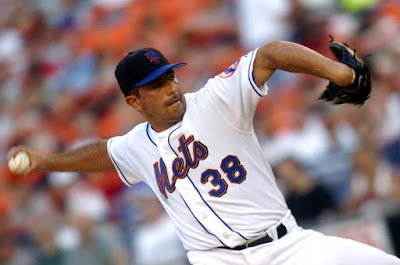 Zambrano made his Mets debut on August 5th in Milwaukee and gave up six runs over five innings of work to the Brewers. But even with such a bad outing, he earned a win that day, as David Wright drove in six runs leading the team to victory. Zambrano won his next start as well, allowing just one run over seven innings pitched in Houston against the Astros. He was then shut down for the rest of the year with an injury, finishing with a 2-0 Mets record by August 17th. In 2005 he lost his first start to the Atlanta Braves pitching five innings allowing just two earned runs in the 4th game of the year. He then beat the Phillies for his first win on April 19th and was 1-3 by the end of April. But by the All Star break he was 4-8 with a 3.51 ERA. He would allow at least one earned run in every start he made & allowed four or more earned runs in seven different outings on the season. By September he was in the bullpen pitching in relief, as he finished the year at 7-12 with a 4.17 ERA. He allowed 77 earned runs with 77 walks in 166 innings pitched, giving up 170 hits while striking out 112 batters. He wasn’t the most popular guy at Shea Stadium especially from there on as he never got any better. 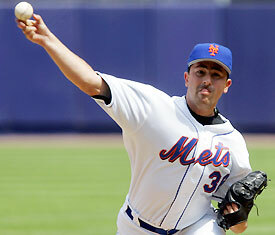 In 2006 the Mets had a much better team, he earned a win in his first outing even though he allowed three runs. The Mets won the game beating the Nationals in D.C 13-4, it was his only win of the year. On May 6th after just five appearances, Zambrano suffered a torn elbow tendon and needed his second Tommy John surgery. He was done for the most of the next two seasons and the Mets released him. He tried brief comebacks with Baltimore & Toronto going 0-3 in that time but his career over. In a seven year career Zambrano went 45-44 with three saves, 529 strikeouts 404 walks and a 4.64 ERA in 706.3 innings pitched in 187 games. Drama: In October of 2009 his mother was kidnapped in Venezuela, but was luckily rescued three days later by the national police. Three of the four suspects were arrested for the crime. In 2009 Zambrano pitched in the Taiwan baseball league. 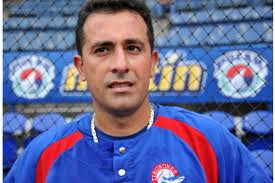 He also pitched for Venezuela in the World Baseball Classic, pitching two games against Team USA. In his second outing he threw three scoreless innings.